Certainly a very creative and original to preform Bach! 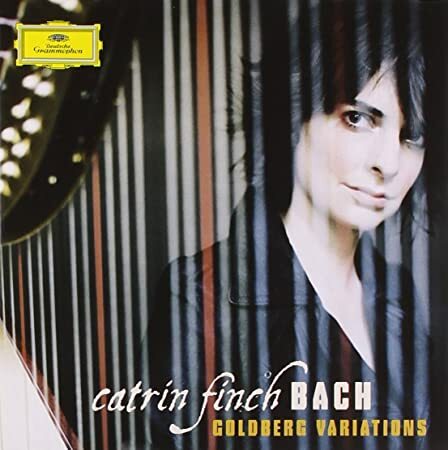 Catrin Finch's recording of the Goldberg Variations is excellent, although I marginally prefer Sylvain Blassel. A bit heretical for a Welshman, but there you go! Get both, anyway - you won't be disappointed. Some more information? Thank you! I love harp music (which there isn't enough of) so this is all a win right there but, while I probably shouldn't say this, one of my many musical heresies is that, though I like plenty of keyboard music and plenty of Bach, I don't like (or fail to appreciate) what many regard as the summit of musical achievements: Bach's keyboard music. Thanks to this, I almost get it. I would love to hear the French or English suites for solo harp. Amy Turk is cool, talented and cute, but she would never do those. I appreciate the suggestion but, nope, I'm familiar with that and I agree, it sounds like horror movie music which isn't what I'm going for when I listen to Baroque. Death metal, sure. Is it you don't like this motive in the music or you don't like horror movies? I have some recommendations for both cases! Last edited by Clouds Weep Snowflakes; Apr-18-2019 at 22:13. I'm actually not the biggest fan of horror movies, though I do like the spooky weird old gothic sorts like the 1930s Universals and later Val Lewtons and a few exceptions among the post-1970s movies. But, yeah, I meant the horror Baroque - I prefer the lighter, brighter side of the Baroque.